Extended the brand guidelines, photo treatments, and illustration styles for several websites, along with coding the custom Squarespace styles. Worked with internal marketing teams to teach them how to update content on their own without breaking established styles. Sites were developed alongside branding completed by UnitOneNine. OutCold is a Chicago-based marketing agency that needed their web presence to feel as bold as their events. Training was provided for internal marketing teams to create new case studies. Tiny Tunemakers is a local Chicago business that helps children learn how to express themselves through music and creative movement. PCI is a Chicago PR firm offering services in everything from healthcare to museums. 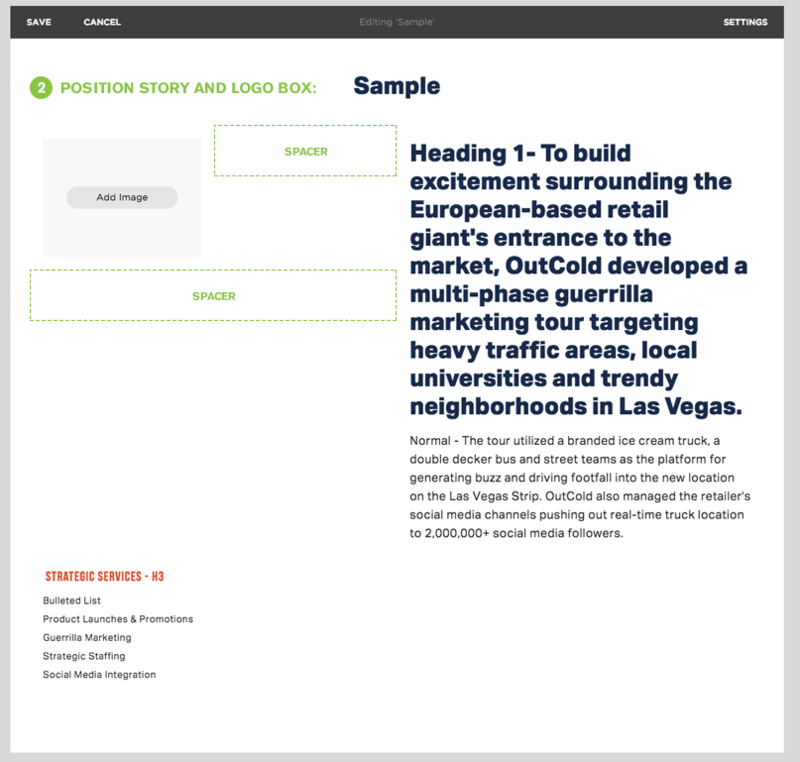 Case study pages were constructed to allow internal marketing teams to duplicate styles without touching the custom CSS.